Allows you to use 3" pads on your Griot's Garage Random Orbital Polisher 6"
The Griot's Garage 3" HD Orbital Backing Plate allows you to turn your Griot's Garage Random Orbital Polisher 6" into a 3" spot repair tool! The 6" Griot's Garage Random Orbital Polisher comes standard with a 6" backing plate, allowing you to use 6" or larger pads right out of the packaging. This is fantastic for large panels and lets you target and remove imperfections on these panels quick and easy. However, what if you need to target some tight areas? Just pick up the Griot's Garage 3" HD Orbital Backing Plate and with a simple swap, you will be able to use 3" pads with the power of the 6" Random Orbital to remove imperfections. 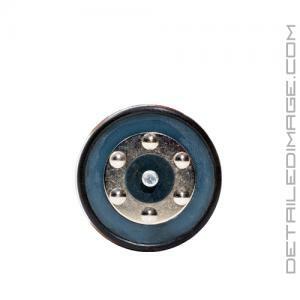 This backing plate is molded with high quality urethane foam and flexible chamfered edges for durability, flexibility, and improved panel contouring. The center cooling release vent manages heat, providing smoother operation and extended pad life. It is also weight matched to the 6" Random Orbital counterbalance for smooth and safe operation. Don't let those tight areas go uncorrected, pick up the Griot's Garage 3" HD Orbital Backing Plate and turn your 6" Griot's Garage Random Orbital Polisher into a spot correcting powerhouse! Griot's makes great stuff, so plenty of reasons to buy if you have a 6" Griot's DA. And Detailed Image had the best price (item + shipping) that I could find on the internet!! 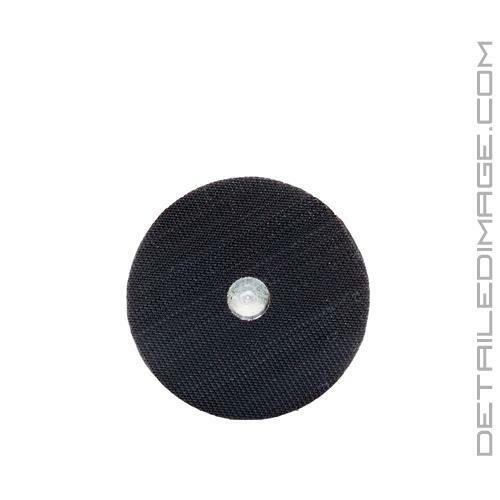 This backing plate is made to fit the GG6 orbital polisher to convert it to a 3 inch. I wouldnt recommend other 3 inch backing plates. Great way to get more power compared to griots 3 inch polisher. Works really well with my Griot's Garage 6" DA! Probably the best "upgrade" I've bought for the DA too.